We flagged AEZS on Wednesday’s morning, and saw rip its way to nearly a 90% gain. Then yesterday morning, we took note of the heavy volume and kept the stock on our radar. It didn’t quite match the degree of the previous session’s move, but still followed it up with a solid performance, running from 2.55 to 3.29 on the day. That’s an intraday spike of 29% and a two-day upswing of 122% over our observed low of 1.48, while volume was massive once again. We’ll be looking for AEZS to possibly continue its multi-day run, and would want to see maintain support at or above Wednesday’s closing price of 2.34 on any pullbacks, in order to remain interested. 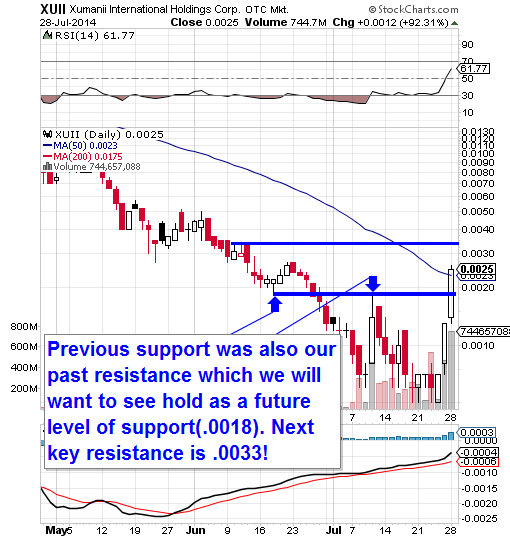 We want to radar IMUC as a bottom-watch play this morning. We noticed the stock had fallen to a new annual low yesterday, following the pricing of a public offering earlier this week, that is expected to be executed today. 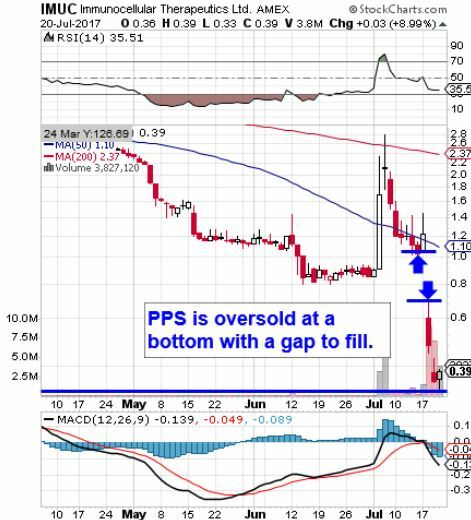 We’re always on the lookout for battered stocks that could become rebound play candidates, and we’re always looking for charts with gaps to the upside and IMUC currently checks both of those boxes.